MANILA, Philippines – Already assured of a spot in the UAAP Season 81 Final 4, Far Eastern University performed sluggishly against University of Santo Tomas in their crucial showdown on Sunday at the Mall of Asia Arena. UST and FEU were beneficiaries of University of the Philippines' shock loss to National University earlier in the day. With the Lady Maroons losing in five sets, the Tigresses and the Lady Tamaraws clinched their places in the semifinals. But their match remained important as the winner would stay in the hunt for a twice-to-beat bonus. The Lady Tamaraws, unfortunately, did not play up to part, and UST instead secured a 25-23, 25-18, 25-23 triumph. 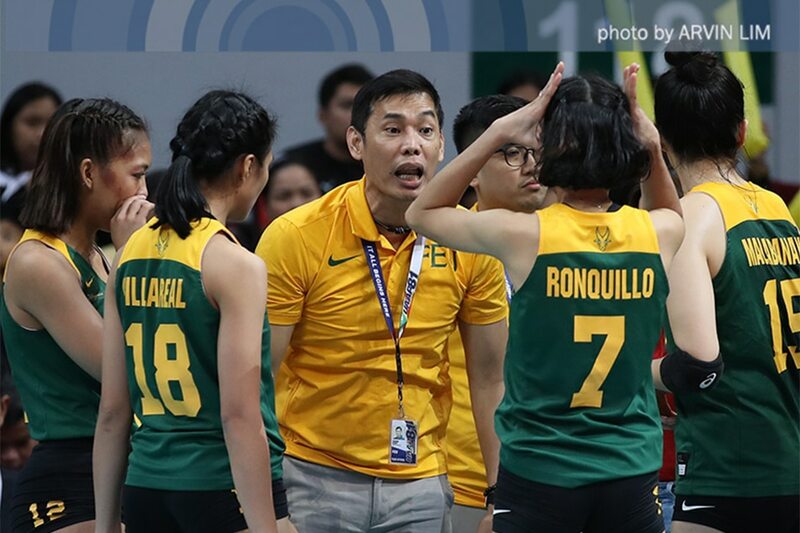 "Na-overwhelm sila," admitted FEU head coach George Pascua of his team. "Hindi ko nakita talaga 'yung training namin na gameplan talaga namin sa UST. Noon third set na lang, pero late na." Pascua acknowledged that the result of the UP-NU game likely affected his players. Had the Lady Maroons won, then the winner of the FEU-UST showdown would have clinched a Final 4 advantage. Instead, they went into the match already assured of their place. "Nawala 'yung aggresiveness kasi, 'Uy pasok na tayo,' pero hindi dapat ganoon 'yung attitude nila. Ayaw ko naman silang i-judge. 'Yung scenario talaga kanina naging factor na natalo 'yung UP," said Pascua. "Nakita ko nga 'yung body language. Mahirap mang sabihin, pero ang reality, parang masaya sila na natalo ang UP," the coach also said. Pascua made it clear that their goal was still to beat the Tigresses, as it would have given them a chance to enter the Final 4 as the No. 2 seed, and thus be armed with a twice-to-beat edge. Instead, they started off slow, needing UST's errors to stay competitive in the opening frame. The Lady Tamaraws only gained their rhythm in the third set, but they still had no answer for the tandem of Sisi Rondina and Eya Laure. 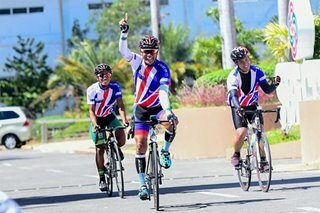 "Siguro, masyado lang sila na-excite noong nalaman nila na ganoon ang magiging sitwasyon," said Pascua. The good news is that the loss to UST did not knock the Lady Tams out of the Final 4 picture, although it did put them in a tough situation heading into the league's Holy Week break. FEU just has one more game in its schedule – a Finals rematch with defending champion De La Salle University on April 28. The Lady Spikers are expected to go all out in that game in a bid to secure the semis bonus. "No-bearing naman, pero fight pa rin," said Pascua. "Gusto naming manalo, ma-boost 'yung confidence ng mga players."